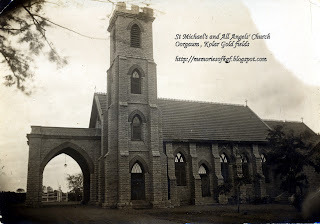 Kolar Gold Fields - NOSTALGIA: ST MICHAEL'S AND ALL ANGELS’ CHURCH, OORGAUM , KOLAR GOLD FIELDS. 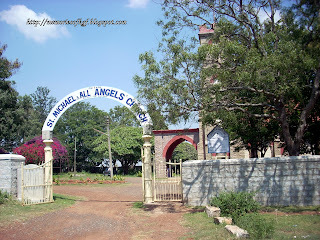 ST MICHAEL'S AND ALL ANGELS’ CHURCH, OORGAUM , KOLAR GOLD FIELDS. The St Michael’s and All Angels’ Church, Oorgaum KGF was one of the first Anglican Churches in Kolar Gold Fields. It came into existence when the original church i.e. St Paul's Church shifted to Robertsonpet from Oorgaum. 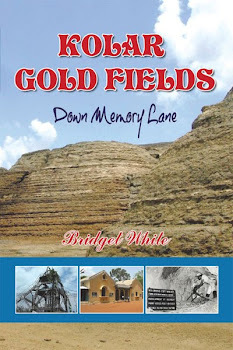 As per early historical records, one of which are the papers presented by M L Griffith-Jones, a Diocesan Lay Reader at a meeting of the Church of England Men’s Society (CEMS) in 1916, a small Church was erected in the year 1894 at Oorgaum in Kolar Gold Fields (where the Compressor House of Bullen Shaft now stands) The Church had just basic infrastructure and was constructed with Funds collected by the rev W F Penny, who was the Secretary of the INDIAN CHURCH AID ASSOCIATION, LONDON. The Church was dedicated to St Paul and placed under the control of the S.P.G. The first Chaplain was Rev James Sharp. In those early days, the Church could seat around 60 faithful and the evening services were conducted both in English and Tamil. In December 1901, The John Taylor and Sons Company, London, sent out Rev. L.Giffard Pollard as the Chaplain of St Paul’s Anglican Church. It was during his tenure that he started the ball rolling for a new Church to be built as the existing church had developed cracks due to the sinking of a new vertical shaft (Bullen Shaft) just next to it. It was subsequently decided to build a new Church for the English speaking congregation, while the Tamil speaking Congregation would continue as members of St Paul’s. Consequently, THE OORGAUM COMPANY took over the old Church building and land in Oorgaum and paid a handsome compensation for it to the S.P.G. The S.P.G then built a new Church in Robertsonpet or New Town (as it was called in those days) on a piece of land given by the Government out of the compensation amount. This Church continued the old name of St Paul’s Church and catered to the Tamil speaking Anglican Congregation of KGF. The new Church for the English speaking Congregation was built on a piece of land given by the GOLD FIELD OF MYSORE COMPANY, quite close to the KGF Club and a short distance away from the old St. Paul’s Church. 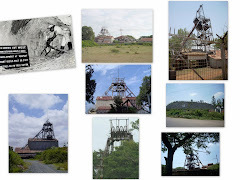 The Foundation Stone was laid on 8th October 1903. The John Taylor and Sons Company extended much assistance to the building of the new Church. A beautiful brick and stone Church and Parsonage in Victorian Style was ultimately constructed and was named as the “St Michael’s and All Angels’ Church”. The new Church was completed and dedicated on 3rd march 1905. The Altar, Pulpit and Pews were brought from the old church while a new beautifully carved Teak lectern was installed. The Pipe organ which is still in use in this church was brought from Madras in June 1921. St Michael’s and All Angels Church was now strategically located and had a large English Speaking Congregation who worshipped here regularly. St, Michael’s and All Angels Church was under the administration of the Church of England from 1905 and all the Chaplains of the church were appointed directly by the John Taylor and Sons Company. 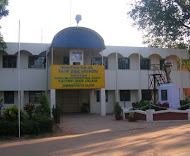 After India attained independence, the church was brought under the control of the Church of South India - Diocese of Mysore in 1947. 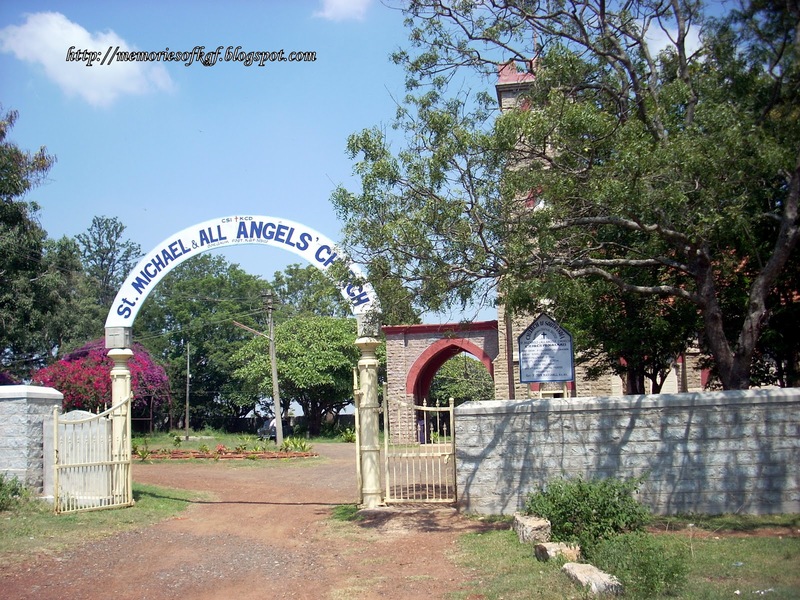 St Michael’s and All Angels’ Church celebrated its centenary in the year 2005 and is still maintained in the same condition even today. Located in serene surroundings, it is a Haven of Peace and tranquility. My grandparents were married here in 1935. Loved the pictures!! thanks so much, its a beautiful church . Seeing it for the first time . They had ten children and twenty three grandkids many great grand kids.